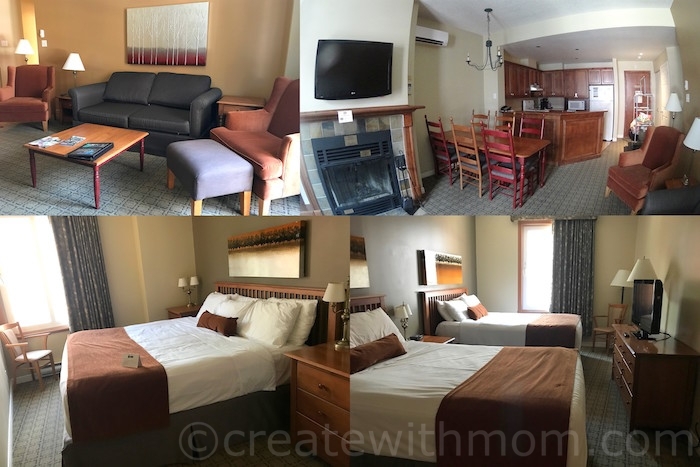 We felt the scenery change to mountains and lush greens, as we entered the Laurentians region in Quebec after our time at Parc Omega in Montebello. 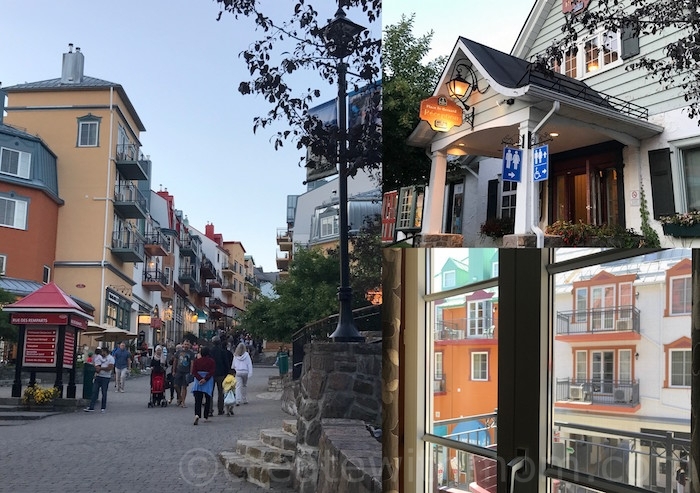 We stayed at Johannsen suites at Place St. Bernard right in the centre of the village, perfect spot to explore Mont Tremblant. 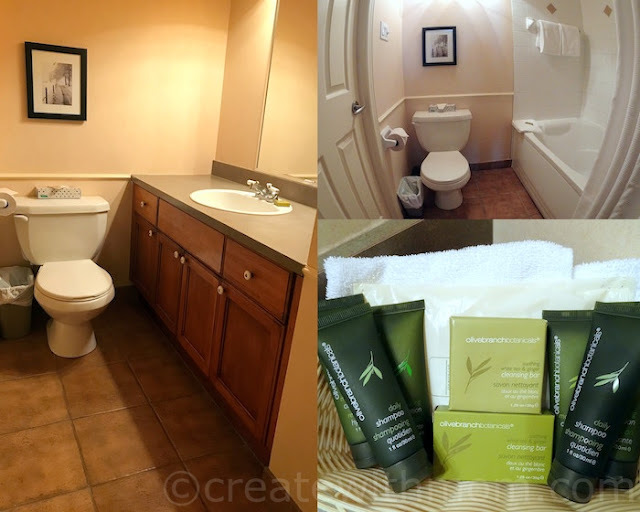 This condo suite has a full kitchen, powder room, bathroom, bedroom with two queen beds, and a master bedroom with a king bed. 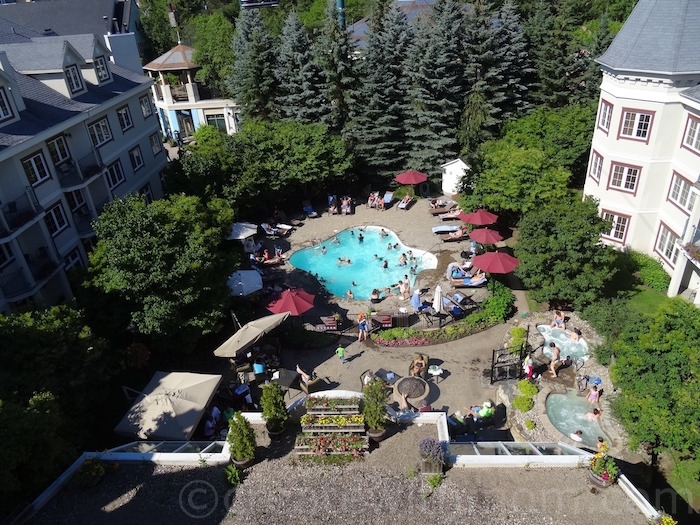 Staying at Place Saint-Bernard made it easy for us to explore a variety of activities, enjoy the lively village atmosphere, go to restaurants and boutique shops such as Explore!, Adrenaline, Lole, and more. 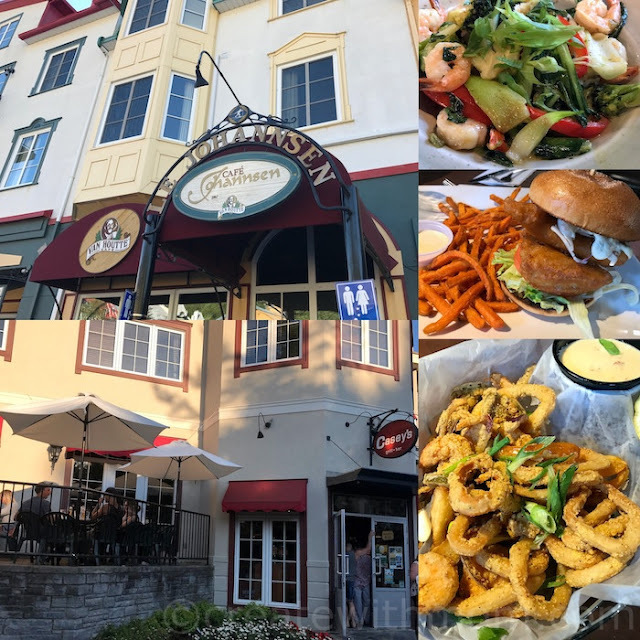 There are many restaurants in the village such as Casey's and Café Johannsen. There are a number of other accommodations in the Pedestrian Village at Mont Tremblant, where families can relax and enjoy a variety of activities such as Akropak, ziptrek, eurobungee, birds of prey show, climbing tower, water games, non-motorized boat rental, Aquaclub, and many more. We enjoyed a few activities such as playing mini-golf, always a fun activity for everyone in our family. 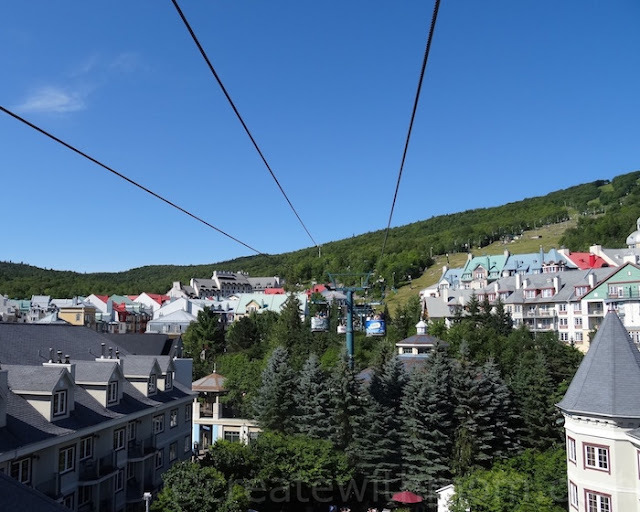 We loved going up on the panoramic gondola to see the spectacular scenic view of the village and the mountains, as well as enjoying a lunch Trio at Grand Manitou Mont Tremblant Summit. The experience of seeing the village while going up and down in the gondola is exciting. The experience and the thrill of riding the Luge is incredible. 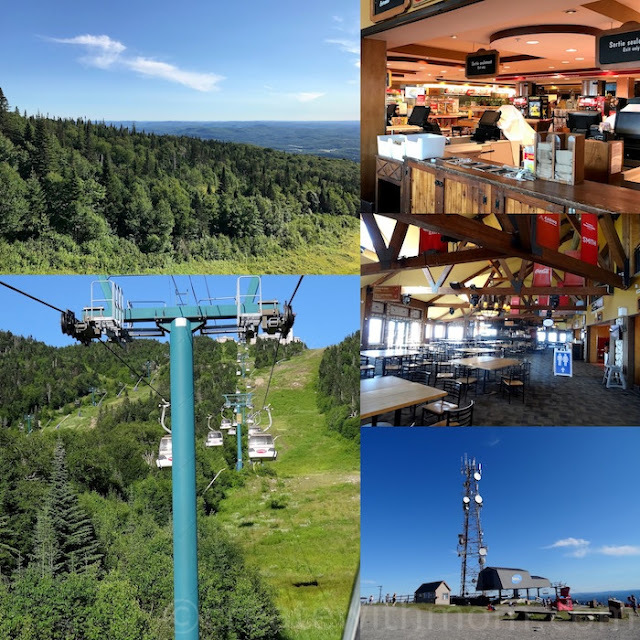 To ride the luge, we have to take the ski lift up, however I wish there was another option to go up other than taking the ski lift. Once we get up there, we have to wait in line to get in the luge. Before going down the track, the staff explained the rules and how to ride it. If you are going with little ones that choose to go on their own luge, stay close as some people may not follow the slow down signs. 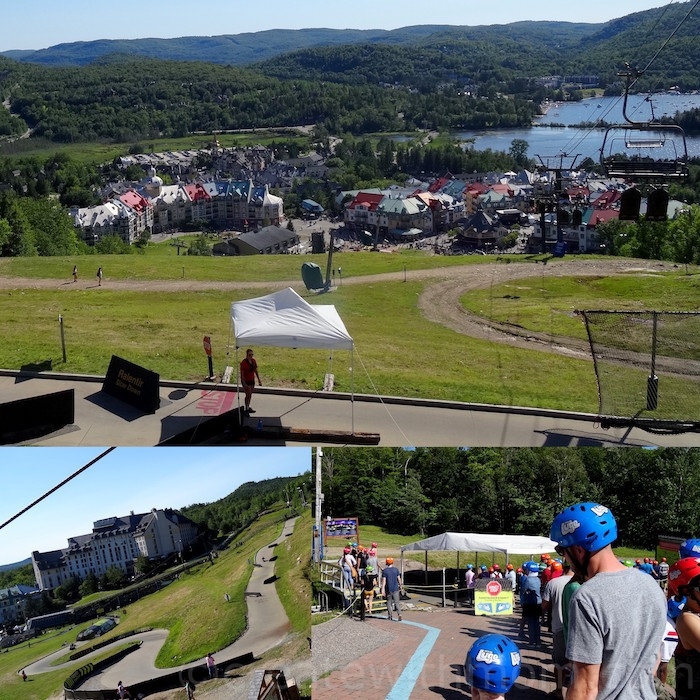 It is fun to ride the luge, an activity you do not want to miss when visiting Mont Tremblant. 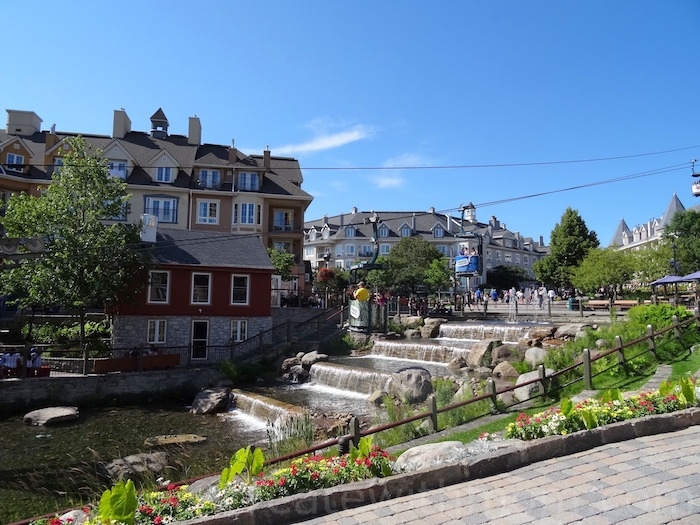 We liked taking the Cabriolet gondola from the Place des Voyageurs to the Croisee des Chemins. This does not require an activity card and it is a fun way to see the village. Late in the evening there was a concert by Les Rhythmes of Tremblant in the center of Place Saint-Bernard. The crowded village was lively past mid-night during our stay in the end of July. The morning was quiet, and felt much different from its late night atmosphere until the shops opened and the activities started. We felt that once we walk around the village a couple of times, it feels more comfortable and easier to find places we want to get to without feeling overwhelmed. Mont Tremblant, a tourist attraction in Laurentians is a fun and special place to visit for everyone in the family. Thanks for sharing your lovely pictures, Mt. Tremblant looks quaint and really beautiful. It's on my bucket list of places to visit, hoping to get there soon. Wow! This looks so beautiful. I would love to visit there one day. Everything looks stunning! Love to visit here one day! I have never been. I would love to take my family on a trip here. Looks stunning. I think I'd actually enjoy visiting Tremblant more in summer than winter. Wow, that looks like a beautiful place with a lot to do! I hope to visit someday soon! I would love to go, it looks so beautiful. Wow,what a beautiful spot everything looks so inviting ! Looks beautiful! I would love to go someday. 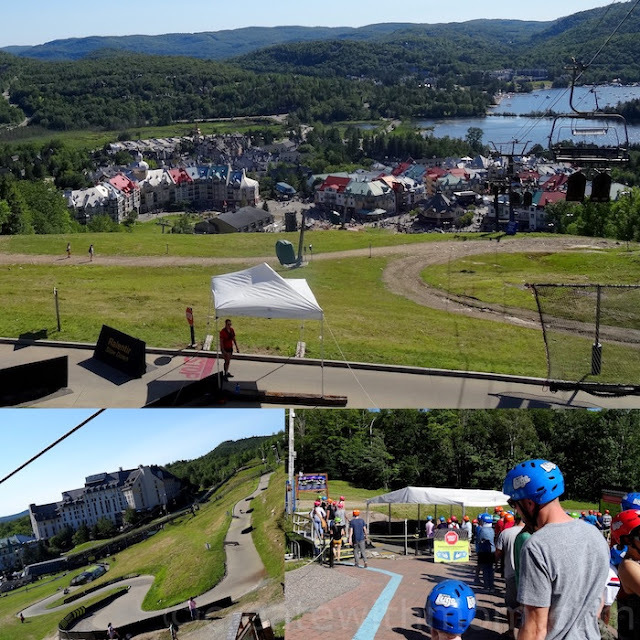 I have been to Mont Tremblant once for a work function. I loved it and would love to go back one day. I've never been to the Laurentians. 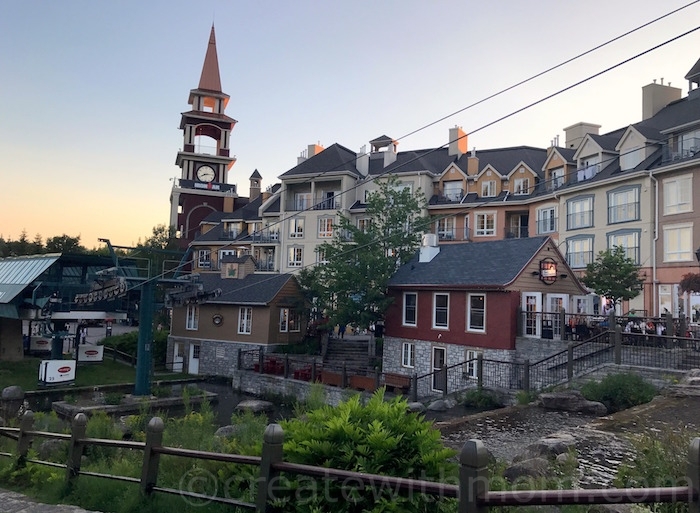 The mountains and buildings in Mont Tremblant are beautiful. I'd love to see them!